Olivia’s Cafe, a beachy, breezy, casual restaurant in Disney’s Old Key West Resort, offers yummy dishes and a family atmosphere that anyone’s bound to love. Sample the classic American fare or indulge in a delicious key lime tart. You’re on island time, now! Breakfast, lunch, and dinner are highlighted here. 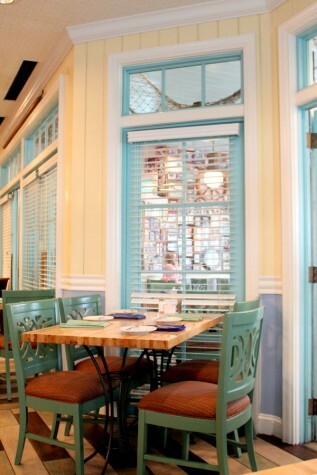 Classic American favorites with a twist of the Florida keys are on the menu! Take a look at the photo wall highlighting many of Old Key West Resort’s Disney Vacation Club owners! On a beautiful day, request to be seated on the patio outside. Famous Dishes: Banana Bread French Toast, Conch Chowder, coconut-encrusted Mahi Mahi, key lime tart.